 The Challenge of the ICU - ONRAD, Inc.
HealthLeadersMedia | The intensive care unit is one of the most sensitive areas of the healthcare system: That’s where it responds to chronic and unremitting disease of the sickest of hospital patients, as well as those suffering from trauma or complications from surgery. Health systems are in the midst of an ICU makeover as healthcare leaders rethink how they are providing care in the costliest area of the hospital, to improve outcomes and attain ROI. Hospitals are increasingly using multidisciplinary approaches, embracing high technology as well as low-tech efforts, from using checklists and standardizing patient forms to implementing telemedicine approaches, to shifting nurses and physicians to improve patient flow, and even making architectural changes to relieve the burden of the ICU. Indeed, the ICU burden is expected to grow over the next few decades, as hospitals prepare for what some experts say will be an explosion of new patients amid an increasing elderly population with an array of comorbidities. As many as one in five patients die in the ICU because of their medical conditions and high rate of complications. While they account for only 5% to 15% of total hospital beds, ICUs account for up to 30% of a hospital’s costs. “We have to balance efficiency in the hospital so there would be more effective treatment and efficiency of care so we can reduce length of stays,” Young says.